Everything you need to know about teaching English in the Land of Smiles. Thailand is stunningly beautiful, warm, and rich in culture and liveliness. It is also quite diverse in its landscapes and cultures, with mountains and hill tribes in the North and paradisiacal beaches and resort towns in the south and on the islands. It is the land where people constantly remind you to “mai-ben-rai”, to take it easy, relax, and enjoy life. Read on to learn more about the essentials of living here, and what to expect in finding your first teaching placement. Earn between ฿29,000-฿48,000 Thai Baht per month, and spend only a fraction of it on daily expenses. A backpacker’s paradise – with incredible beaches, cheap and delicious food, and some of the best nightlife in Asia. Thai is the official language, but it’s common to find English speakers in the street. Hot and tropical with a wet and wild monsoon season. Don’t forget to pack sunglasses and raincoat – often usable on the same day! While Thailand is not the most optimal destination in Asia for those looking to save or pay off debt, wages provide plenty for an awesome lifestyle within the country and opportunities for travel around other inexpensive Southeast Asian countries over holidays. Though salaries can vary, expect the pay in resort towns to offer around 70% of the pay you would earn in the big city. You can also augment your salary teaching private courses with students (300-500 baht per hour) or business people (500-1,000 baht per hour). If you have teaching certification and the experience to work at international schools, you can find substantially higher pay, but expect competition for such jobs to be more competitive. When it comes to the choice of destination in Thailand, it could boil down to simply choosing which of these you prefer: the beach, jungles and mountains, or the sprawling manic concrete jungle which never sleeps. Bangkok is manic. There is crazy traffic, lots of people, and generally a lot going on. You may take anywhere from two to four forms of transport to get through sprawl to work: skytrain and taxi, or bus and then ferry, but you will see all sorts of amazing things on the way and find a new breakfast everyday along the route. This is the best bet for people who have a great deal of energy, particularly foodies and party-goers. It is also close enough to a beach to unwind over a long weekend (Koh Samet anyone?). The north is ideal for jungle lovers and people who love an adventurous lifestyle. If you love ethnic diversity and waterfalls, Chiang Mai or the small towns in the Northern provinces are where you should look to base yourself. The pace of life is a bit slower than BKK, with a cosier coffee-shop sort of vibe. In fact, in CM you can expect to see a coffee shop every block or so. If you want to really feel remote during your assignment look to teach in the northwest along the border with Myanmar or in the east near the border with Laos, both will provide incredible scenery and exposure to fascinating indigenous populations. If you are a swimmer, diver, an amateur marine biologist, or just love to relax on the beach, then you should be looking to base yourself in the South. While you are more likely to come across positions in southern cities like Hua Hin or Phuket, positions on the islands and in resort towns do sometimes come up. Expect for the cost of living to be inflated up to 50%, but don’t let that deter you if you find a job near a beautiful stretch of sand. Thai food is world-famous for good reason, it is delicious and customizable. Not only are there countless dishes to try, but staple dishes always come with extras to be added, more chili, more sugar, more fish sauce, more soy, more vegetables, more…whatever your taste buds can want. Thai street food is marvelous and inexpensive. 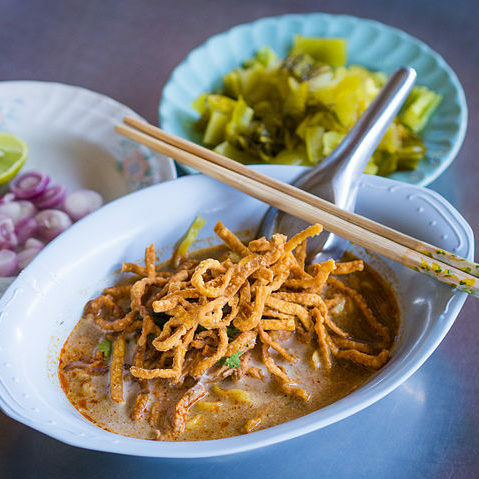 Be sure to try Pad Thai, Som Tam, Pad Kra Pro, Khao Soi, and all the red and green curries you can handle. Cities will also have good options for foreign food, particularly Japanese food, as well as western restaurants. Also, cooking yourself will be great fun with local markets offering so many unique and fresh fruits and vegetables. 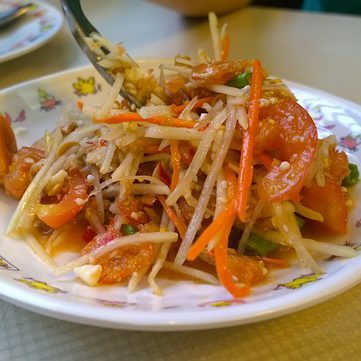 Tom Sam is a refreshing green papaya salad. A Burmese-influenced dish made with curried noodles and coconut cream. 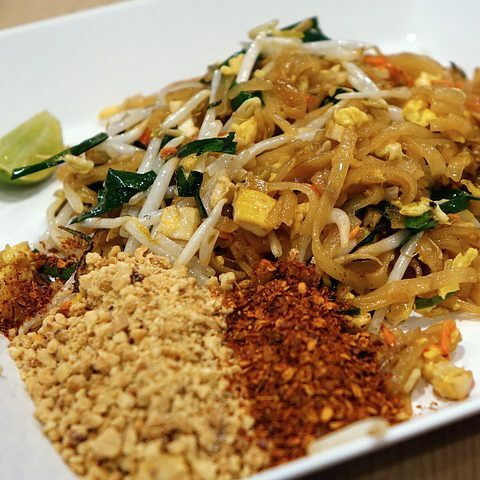 Perhaps Thailands most famous dish – a spicy, tangy, savory and slightly sweet fried noodle dish. 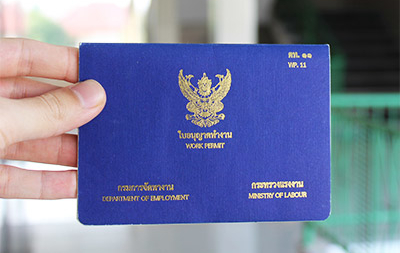 To teach English in Thailand legally you’ll need the Non-immigrant B visa. Getting this visa takes some preparation and can be a bit of a headache if you’re not sure what to do. To help make the move to Thailand as simple and stress-free as possible, you can follow our guide on everything you’ll need to do before, during, and after the visa application process. While Thailand used to have a reputation as a great employer for those without TEFL qualifications or a bachelor’s degree, this has changed over the past few years and it is now a major struggle to find work without basic certifications. Get qualified to teach in Thailand!